My food keeps my fur coat looking really nice and healthy. Hi, My name is Monty and I am a Springer Spaniel. 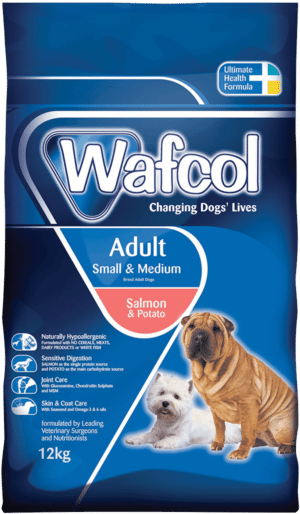 I love my Wafcol Salmon and Potato and my is fur really nice and shiny. I love to chase and bark at birds and other animals that come into my garden. My Mummy and Daddy take me on long walks around country parks and if they can they throw my tennis ball (which is my best friend in the whole wide world!) into the lake as I love to run in and swim after it.